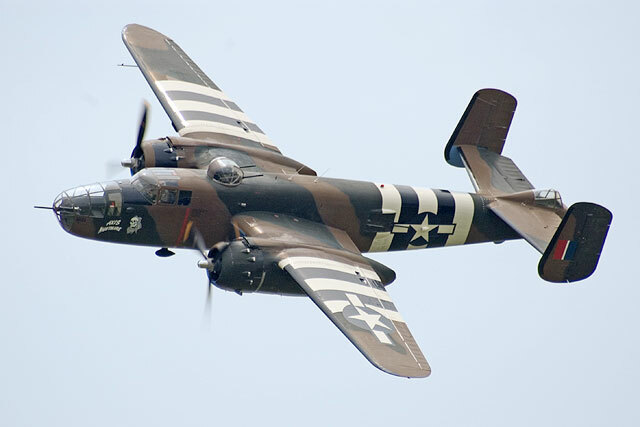 The B-25 "Axis Nightmare", which is owned by the local Tri-State Warbird Museum, has been flown and maintained by several Cincinnati Warbird members. This plane is a movie star, appearing (in new paint) in the TV miniseries "Catch-22". 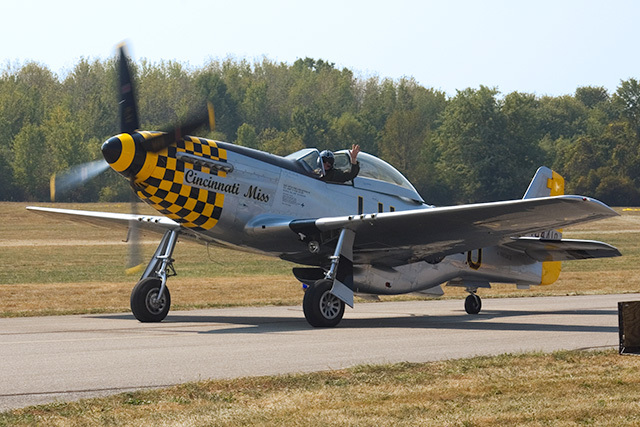 The local Tri-State Warbird Museum owns and operates this P-51D Mustang which has been modified to add a second seat for passengers. 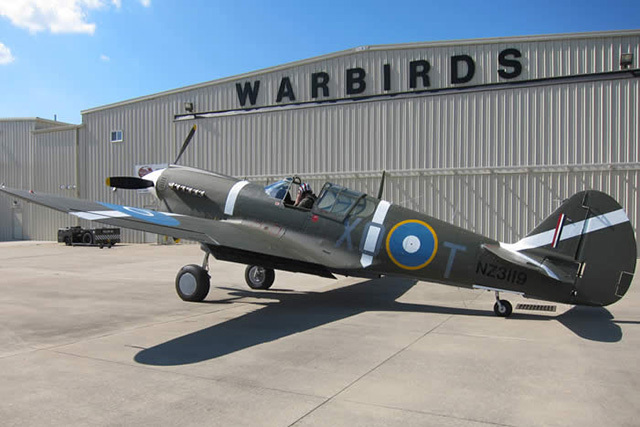 The staff of the Tri-State Warbird Museum worked hard to restore this award-winning P-40M Kittyhawk, which debuted at Oshkosh in 2016. 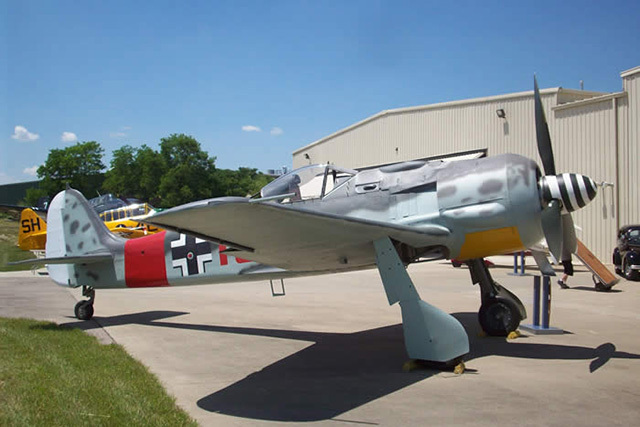 This Fw190 ws initially restored by Flugwerks in Germany, and was gifted to the Tri-State Warbird Museum by Dr. Thomas Summer of Indiana. The Tri-State Warbird Museum also flies one of Grumman's legendary torpedo bombers, the TBM Avenger. 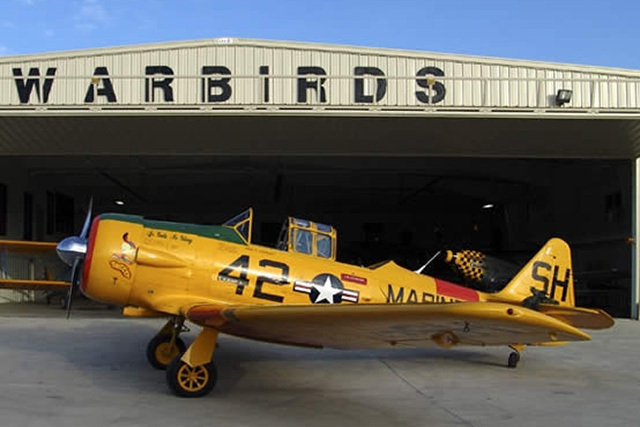 No Warbird Museum would be complete without an example of the popular WW2 trainer, the Texan. 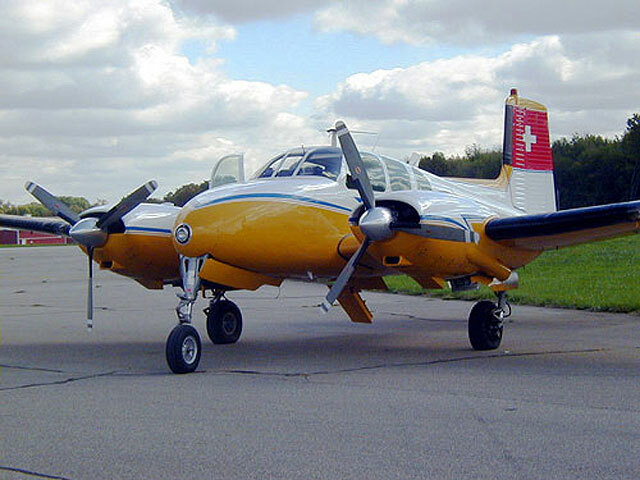 This particular aircraft is an AT-6D, the colorful and appropriately named "Tweety Bird". 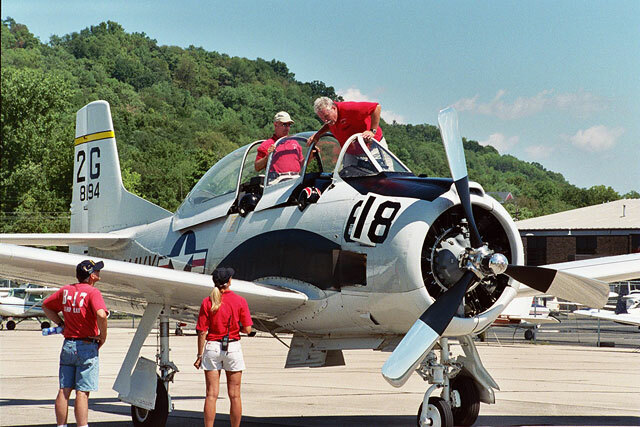 Before WW2 pilots stepped into the advance T-6 trainer, they had to master the PT-17 Stearman. 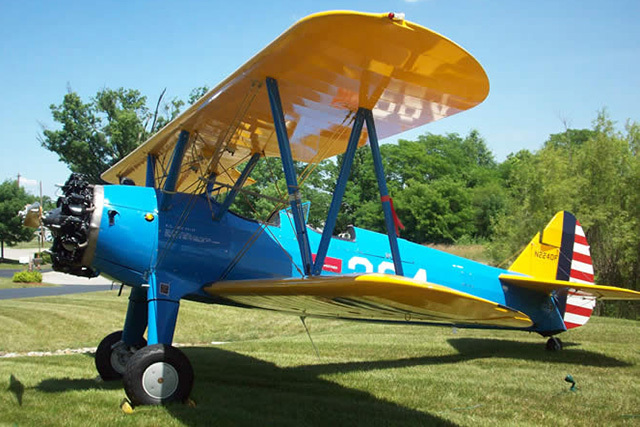 This Stearman is the property of the Tri-State Warbird Museum. Todd Winemiller flies this T-6 Harvard II. 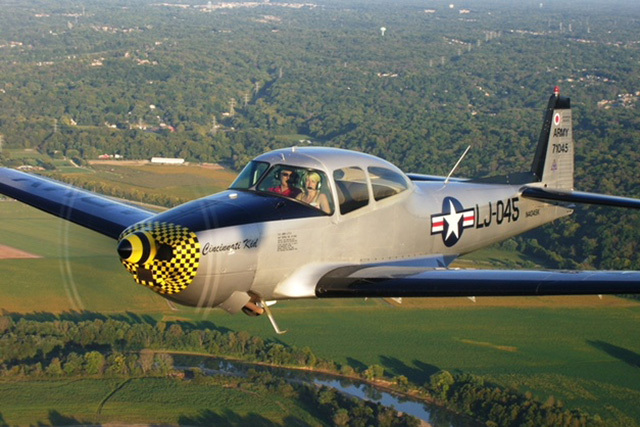 Todd has a small private airstrip on his farm near i69 and is very active in both the Warbirds and the local EAA chapter 174, where he encourages future aviators as part of the EAA's Young Eagles program. His aircraft, N8994, was manufactured by North american in 1943 and served as an advanced trainer in the Royal Netherlands Air Force as B-174 until 1966. It was sold into U.S. civilian use in 1970. It is powered by a 600 hp Pratt and Whitney engine. 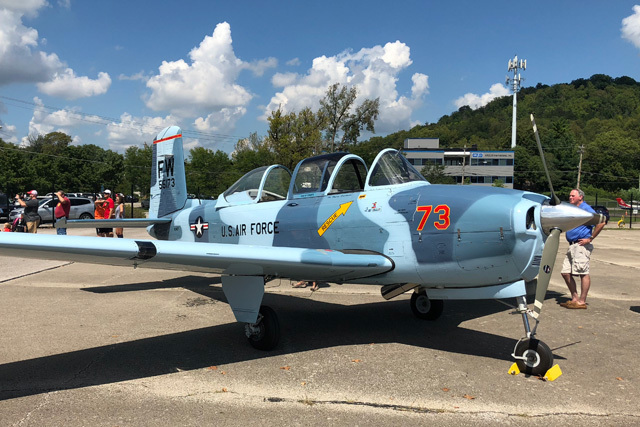 Doug Auxier flies this T-28 Trojan, drag races, and otherwise keeps moving hundreds of miles an hour. This particular aircraft, N462A, entered Navy service in 1956 and served until 1978, when it was stored at Davis Monthan AFB. Since 1982 is has been owned and operated by 3 civilian owners. It is powered by a 1440 hp Curtis Wright 1820. 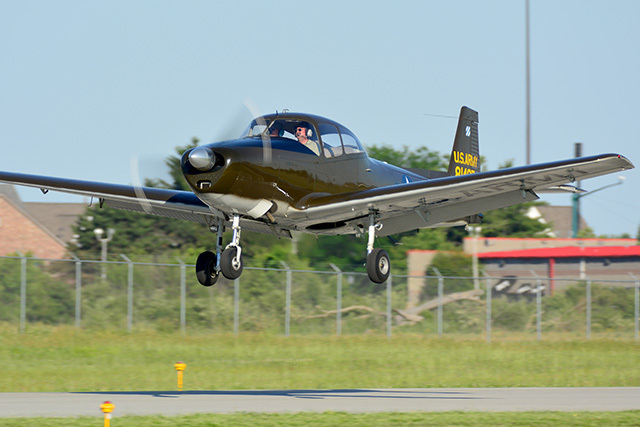 Doug and Todd co-own this 1957 Twin Bonanza, N92HB, which formally served as a Swiss Air Force aircraft. 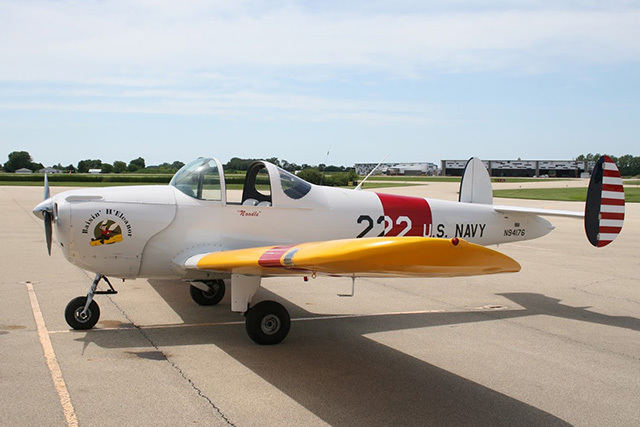 Jim Stitt flies this T-28 as part of the Trojan Horsemen flight team. 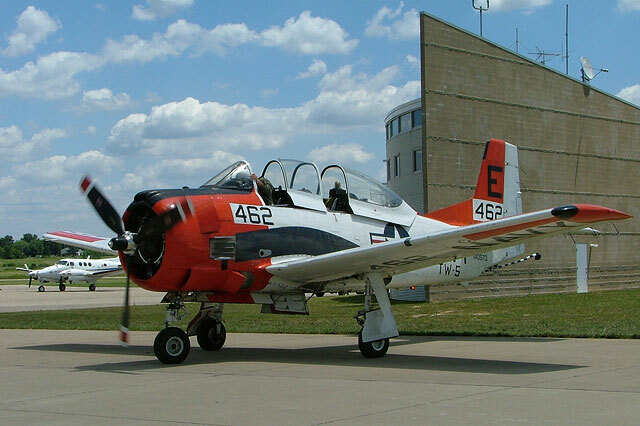 This plane, T-28 B N194RR, began service in the U.S. Navy in 1955 with VT-2 and VT-6. From 1969-1973 it was transferred to Keesler AFB to train pilots who flew ground attack combat missions in southeast Asia. After that, it served in VT-27 until decommissioned in 1983. 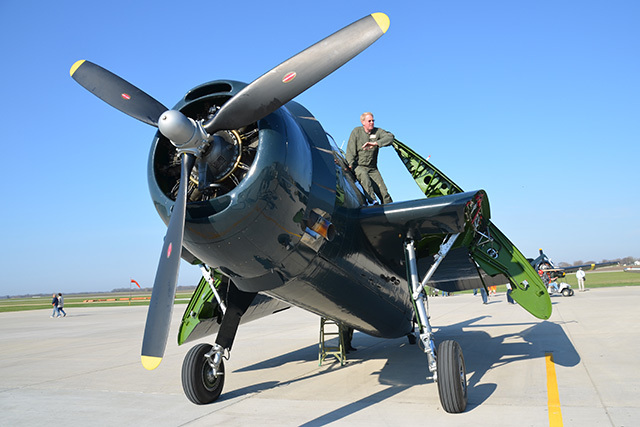 This aircraft has been partially restored and is painted in US Navy fleet colors with authentic VT-2 markings. It is powered by a Wright 1820-86B 9 cylinder, 1425 hp engine. 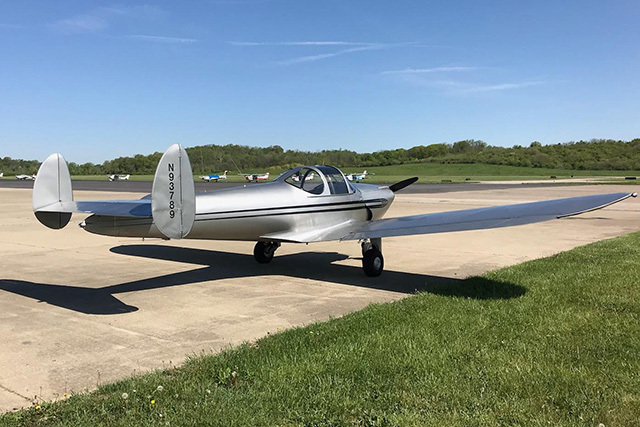 Members Bob Burkhardt, and Laurie Clark co-own this 1947 Navion, N4045K. 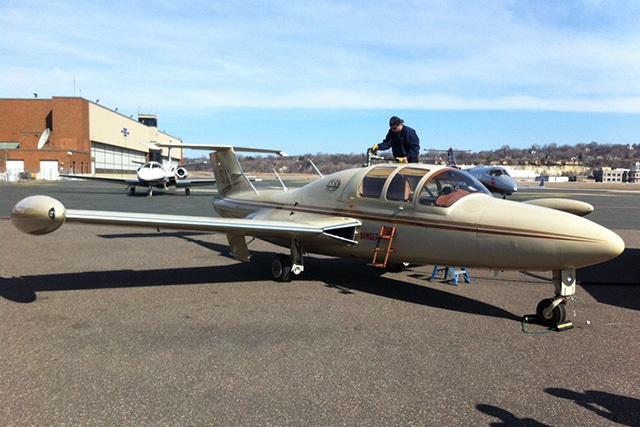 Founding member Dr. Scott Sayre owns and flies this rare bird, the MS.760 Paris jet. The Paris was intended to be a trainer and liaison aircraft for the French Air Force in the fifties, but was ultimately destined for civil service. 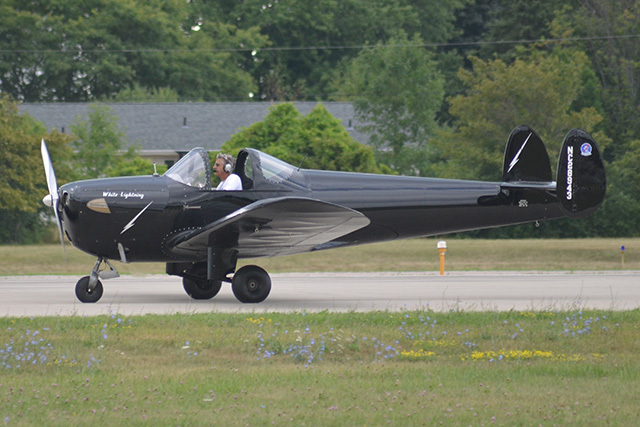 Member Kevin Gassert flies this striking Ercoupe, "Black Lightning". Kevin has restored numerous Ercoupes and is slowly building his own squadron of them at Butler County Regional Airport. Because real pilots need legroom, not rudder pedals. Another Butler County Ercoupe, Mike Wood's "Eleanor". Member Al Kenkel flies this 1946 Ercoupe 415-C, also based at Butler County. 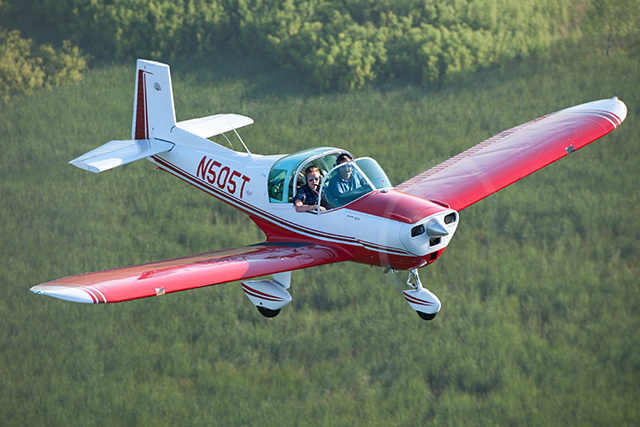 Members Pat and Brian Flaherty own and fly this vintage Mooney Cadet, an aircraft whose design was based upon....wait for it...the Ercoupe. Member Bob Burkhardt owns and flies this homebuilt RV-9A. 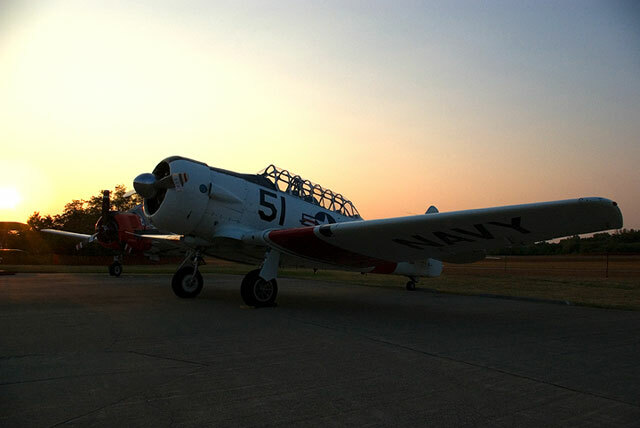 Member Dan McCormick flies this T-34A Mentor. This Mentor, 55-173 was delivered to the USAF in November 1955. It served there until being surplussed to the Indonesian Air Force where it flew for several years. It was returned to the US and a complete restoration was done in 1998. It is powered by a 300 hp Continental IO-550. 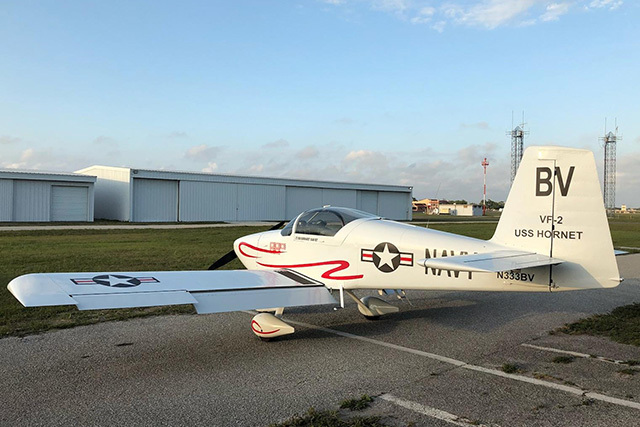 Member Bill Crawford owns N4495K “Princess’ Vantage”, a 1948 Ryan Navion (built by North American) which he spent 3500 hours restoring to L-17B Army 3rd Infantry Division configuration and paint as requested by the former owners who were Korean War F-86 pilot veterans. In 1999 N4495K was used by McCauley Propeller for the successful flight test certification of the Navion 3 blade propeller STC PL60247. N4495K was invited to display at Ryan Aeronautical’s 60th anniversary at Lindbergh Field, San Diego, CA as well as USAF Edwards AFBFTC Open House 1993, WPAFB Open House 1997 and NMUSAF for both Liaison Gatherings in 2006 & 2008. The nose art by R.T. Foster is a likeness of Bill’s wife, Susan.